CDL, initially a spin-off of the French group Onduline, is a designer and manufacturer of molded fiber packaging products produced from recycled paper and cardboard. Egg trays, used for the transport of eggs, is by far its main product. Other products include family packs and egg boxes in the poultry range, as well as lines of medical and food packaging products. The Company has a unique production plant located in Allaire, Brittany, which produces c. 800 million units per year. It is present outside of France, its main market, in c. 40 other European countries, with exports representing 2/3 of sales. 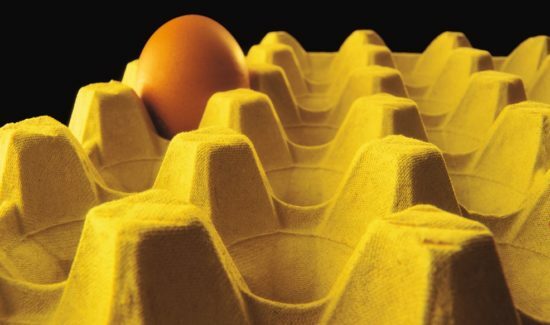 Undisputable leader in Europe on the egg trays market, CDL differentiates itself with a state-of-the-art and highly automated industrial tool, which is a key competitive advantage on this commodity market. Motion Equity Partners will first help the Company increase its production capacity, in order to be able to meet the currently un-addressable demand for its products. Motion Equity Partners will also support CDL and its Management team in the achievement of significant operational improvements as well as in its product diversification strategy. Cédric Rays, Partner at Motion Equity Partners, states: “We identified CDL as a very interesting investment opportunity several months prior to the acquisition. Our excellent relationship with Vendor and the tremendous fit with the Management in place allowed us to submit a pre-emptive offer well ahead of the scheduled launch of the sale process. The Company is the European leader on its market, which is very resilient. And CDL has shown both strong historical growth and significant profitability progression over the past years, thanks to its operational excellence. On top of that, we have been working hand in hand with the Management on several development opportunities and we believe that CDL has a great growth potential”. CDL employs c. 100 people and budgets Sales of €37m in fiscal year 2014.